This morning I just learned from a friend that our Rainbow Warrior Ryan Dale Smith had passed away this mid- December. How sad. I never had the chance to meet him personally, but I did follow his Jon Doe Youtube videos, which I found quite interesting. I used to enjoy talking to him and looked forward to meeting him someday in Tokyo. He had reported on Fukushima from inside Japan very courageously since day one during the past years. One of the very few to do it with quality and no nonsense. Ryan Dale Smith was a rough uncut diamond shining by his wits and his sincerity. His deeply-felt loyalty to the working class shined out. We will miss you Ryan. Peace to your soul on your journey. My condolences to his wife and daughter, and mother. During the early hours of Tuesday, Dec. 12, Tozen Union member Ryan Smith (aka Jon Doe) passed away. He was 37. He is survived by his wife, Makiko Kono, his 1-year-old daughter, Kayla, and his mother, Carrie Lester Plaster. From Athens, West Virginia, Ryan studied journalism at Concord University. He moved to Japan in 2008 and taught English to adults and children. Ryan loved to talk politics and never missed a chance to declare his commitment to Marxist revolution and his pride in his rural, working-class roots. His YouTube channel has over 1,800 subscribers. But he loved nothing as much as his tiny daughter, Kayla. Since her birth, nearly every Facebook entry he posted included photos or video of her. “I don’t believe in God, but I believe that humans have a special spark in them. I don’t believe humans have a soul, but I know there is a common feeling which binds all of humanity. “I don’t believe in heaven or hell, but I know those who stomp on their fellow human beings have to hide from the rest of us to avoid being hung by a rope in the streets. SAN DIEGO (CN) – Former Senator John Edwards and his co-counsel on Thursday asked a federal judge not to transfer to Japan a class action by hundreds of U.S. sailors exposed to radiation in the Fukushima nuclear disaster. An initial group of sailors sued Tokyo Electric Power Co. (TepCo) and General Electric in 2012. A second class action from sailors sent to render aid after the earthquake and tsunami was filed in San Diego Federal Court last August. The March 11, 2011 tsunami caused the Fukushima Daiichi nuclear plant to shut down, but loss of circulation water coolant led to meltdowns and explosions whose radioactive releases may not be completely cleaned up for centuries. More than 420 U.S. service members in the two cases seek compensation and medical monitoring, testing and health care costs for exposure to radiation. Some sailors have died from complications of radiation exposure since the cases were filed, and more than 20 are living with cancer, according to the lawsuits. U.S. District Judge Janis Sammartino on Thursday considered motions to dismiss from TepCo and GE. They claim that California courts have no jurisdiction over events in Japan. Sammartino also considered a choice-of-law motion from General Electric, which wants to apply Japanese law to the case or have it transferred to Japan. TepCo operated the Fukushima nuclear plant; GE designed its nuclear reactors. TepCo attorney Gregory Stone, with Munger, Tolles & Olson in Los Angeles, said all claims brought in the United States could be brought in Japan and that the statute of limitations has not run out in Japan’s court system. GE attorney Michael Schissel, with Arnold & Porter in New York, said the case belongs in Japan, where the facts originated and the witnesses are. Schissel said the Japanese government declared the nuclear meltdown was not a natural disaster, so TepCo could be held liable for damages. But Edwards, whose firm Edwards Kirby is based in North Carolina, said it’s important to look at the situation “from altitude,” to see things from the sailors’ perspective. “These are American sailors, American employees serving their country, who were sent on American ships on international waters at the request of the Japanese government … their ally, which owns the majority of stock in defendant TepCo,” Edwards said. Edwards said that since the vast majority of the sailor-plaintiffs were stationed in San Diego and GE designed the nuclear reactors at its San Jose headquarters, the case belongs in California. “They want the case in Japan because they know it goes away; that’s clearly their strategy,” Edwards said. Bonner added that California has a vested interest in applying its own laws, including strict liability for defective products, and punitive damages to deter companies from selling defective products. He pointed out that one-sixth of the U.S. Navy is based in San Diego, with 69 Navy ships in San Diego Harbor. “(Japan’s) compensation act has not been applied to their own citizens, only businesses. Why should we speculate their compensation act will help our sailors? It will not,” Bonner said. Stone countered that Bonner was “simply wrong” in claiming that the Japanese nuclear damage compensation act had not benefited individual Japanese citizens. He said it is the conduct of defendants TepCo and GE – which occurred in Japan – and not the plaintiffs’ place of residence that should determine jurisdiction over the case. Sammartino indicated she will want further briefing from the attorneys before ruling on the motion to dismiss. Absorbed doses of ionising radiation are defined as an average of the energy that is transferred into large volumes of body tissue. This approach is valid for considering external exposures, like X-rays or natural gamma (cosmic rays) but not for situations where radioactive substances inside the body irradiate microscopic volume of tissue selectively. Particles of Uranium and Plutonium are examples; the range of their alpha emissions is so tiny that all the energy is concentrated into a few hundred cells. Some call this kind of situation “pinpoint radiation”. Using absorbed dose to assess the potential health damage is like a doctor examining a child whose skin is covered with small red marks. Now look, Mrs. Smith, I’m a doctor and I’m telling you even if your lodger does stub out his cigarette on little Nelly’s tummy there’s no problem because she absorbs very little energy from it. You give her a far bigger dose when you put in her a nice warm bath. The trick was pulled in the depths of World War 2, subverting the science of radiation protection in order to protect the Manhattan Project and the A-bomb; it has served to protect the nuclear industry ever since. Until the 1920s the main focus of radiation protection was external X-rays, but the Radium dial painters’ scandal made it obvious that internal effects needed specific investigation. This led to new standards determined by looking at the actual effects of radium in the dissected tissues of people. Radium is produced by the radioactive decay of natural Uranium. Its own radioactive decay emits alpha particles. Unlike X-rays and gamma rays, alphas have very little penetrating power so they are only hazardous once they’re inside the body. Even then they don’t travel far but the downside is that all their energy is deposited in a very small volume of cells. From the earliest years of the 20th century luminous Radium paint was applied to the faces of clocks, watches and compasses to make them glow in the dark. World War 1 boosted demand and through the following decades hundreds of girls and women were employed to paint dials and pointers with various brands of paint – Undark, Luna and Marvelite. They would routinely put the tips of their paint brushes between their lips to obtain a fine point for the trickier numerals. By 1923 it was clear that the Radium they thus ingested was causing dreadful, agonising and frequently fatal illnesses. Radium mostly lodges in bone, so the diseases affected the blood-forming function of the women’s bone marrow, leading to anaemia. Those with higher body burdens had ulcers and their bones were weakened to the point where vertebrae collapsed and legs would break spontaneously. The first deaths directly attributed to Radium Necrosis came in 1925. The inventor of the Undark brand died like his workers, his bone marrow destroyed and his hands, mouth and jaw bones eaten away. Court cases, compensation payments and improved workplace practices followed (a ban on licking brushes was the first) but for a decade and a half there were no mandatory exposure limits. By 1941 America was once more tooling up for industrialised warfare and the government was ordering large numbers of luminized instruments. By that time the global total of Radium extracted from the earth’s crust was only 1.5 kilograms but, already, the deaths of more than a hundred people were attributable to its processing and use. Officials insisted that safety standards be devised, including a tolerance limit for internal Radium. A committee of the National Bureau of Standards looked to a post mortem study of Radium dial painters and people who had been exposed to Radium through medical treatments. They saw that there were detectable injuries in all the bodies which contained a total of 1.2 micrograms of Radium but no injuries were discernible in those containing 0.5 micrograms or less. The committee settled on 0.1 micrograms as a cut-off. The history books show they knew this was a highly subjective stab in the dark. Since Radium decays to Radon gas officials were able to use Radon as an indicator for metering. From then on, Radium workers were required to breathe into an ion chamber which detected the radioactive decays of Radon and its own daughter, Polonium. An immediate change of occupation was recommended as soon as the level indicated that a worker’s body contained more than 0.1 micrograms of Radium. World War 2 was midwife to the principle of nuclear fission, a completely novel substance – Plutonium – and the possibility of a Plutonium-powered bomb. The Manhattan Project was set up to make Plutonium for the bomb in secret and in near total ignorance of its effects on health. It was known to be an alpha emitter so, for expediency, the standards for Radium were extended to Plutonium, modified by animal experiments comparing the effects of the two substances. All this – both the Radium standard and the Plutonium standard derived from it – was primitive science which had no way of detecting subtle lesions and cancers which may take decades to appear. The discovery of the double helix structure of DNA was still a decade away and for another 50 years no-one suspected the existence of epigenetic effects (genomic instability and the bystander effect). So the safety standards were unlikely to reflect long-term health effects but they did have the huge philosophical advantage of being rooted in reality; the Radium researchers had followed the essentially scientific principle of looking for a relationship between cause and effect. Maybe this was because they were medical practitioners, campaigners for workers’ rights and newspapers eager for the human interest angle on any story. Maybe their investigation enjoyed some liberty because the dial painting industry was owned privately, rather than by any government, and because at that time the fate of the “free” world did not seem to hang on the outcome. By 1944 everything had changed. Plutonium was being produced in significant amounts and any potential it might have to kill its own workforce now affected a top-level policy funded by a bottomless budget with the imperative of building the bomb before Stalin could. More crucially for the scientific principles of radiological safety, physicians were no longer in charge, but physicists. The agent of change was a British physicist, Herbert Parker, head of radiation protection at the Manhattan Project. His earlier career in British hospitals had made him familiar with X-rays and a kind of therapy that used Radium as an external source, confining it in tubes and placing it carefully to irradiate cancerous tissues. (This medical application had been tried as early as 1904, only six years after Radium was discovered. In marked contrast to the dial painters’ problems, it didn’t involve Radium becoming inextricably mingled with a patient’s bones.) Parker had a physics-based view; radiation was a single phenomenon, whether it came from an X-ray machine or a speck of Plutonium. As with light, where the physicist isn’t too interested in whether the source is a light bulb or the sun, Parker was concerned with how much energy the radiation delivered to the tissue of interest. The language here is of ergs, from the Greek for work. It is defined in dynes, the Greek for force; the units are physical – movement, velocity, grammes of mass, centimetres of length, seconds of time. Parker was one of the first to call himself a Health Physicist. In his world there was no call for a bedside manner. Using his physicist’s approach, Parker shifted the focus from direct investigation of the effects of specific substances onto a new concept – radiation dose – which he could apply to radiation from any source and all sources, providing a way to assess workers’ total exposure to all the novel nuclides the Manhattan Project was now creating. He defined a unit of dose in ergs per gramme of tissue and called it the Roentgen Equivalent Physical, or rep. Its very name betrays the mindset; Wilhelm Roentgen was the discoverer of X-rays (for a long time they were called Roentgen rays). The source of X-rays is always outside the body, so we can see the understanding of dose, and hence risk, was now to be based on an external paradigm. The first limit for Plutonium in the body based on Parker’s dose model was set at 0.01 reps per day, a quantity which exactly matched the energy deposition from the old tolerance limit of 0.1 microgramme of Radium. No change there then. What did change was that instead of the empirical scientific inquiry based on actual tissue damage and instead of the tentative subjectivity of the 1941 Standards Bureau Committee’s decision on a Radium level, the new model gave an impression of mathematical precision, certainty and universal applicability. This was the new, square-jawed and confident nuclear era where bombs of unimaginable power would biff the Red Menace into oblivion and unlimited atomic energy would fuel everything in a world of peace and plenty. Any risk model needs two types of data – for exposure and for effect. Unfortunately, there were no reliable data even for X-rays despite 50 years’ experience. There was too much variability in the machines and the conditions in which they were used; doses were largely unknowable and many of the long-term effects had yet to emerge. But after 1945 the surviving people of Hiroshima and Nagasaki provided the authorities with a fresh opportunity. Funded and controlled by America, data on the survivors’ health was gathered (as it still is) in what have become known as the Life Span Studies or LSS. A full analysis of the flaws in the LSS is beyond me. As far as studying internal radioactivity is concerned the flaw is fatal; the control population providing the base-line of expected rates of disease, to be compared with disease in the exposed population, was recruited from the bombed cities themselves – they had either been outside the city when the bomb fell, or in some other way were shielded from the flash of the explosion. The “exposed” population consisted of people who had been in the open and so received a large dose of external gamma rays. But both groups ingested and inhaled just as much fallout as each other, so the LSS are totally silent on internal radiation. The only difference between them was the external irradiation. LSS nevertheless is the basis of radiation protection standards all over the world to this day for both external and internal. I feel like a father who is ashamed of his children. In 1950, American influence revived the International X-ray and Radium Protection Committee (IXRPC), which had been dormant during the war. In fact only two of its members were still alive and one of those was an American who was Chairman of the American NCRP. But needs must, and an international body would probably look more credible than a unilateral American one, so IXRPC was reborn as the International Commission on Radiological Protection (ICRP). In reality ICRP was just an overseas branch of the NCRP and in 1953 it adopted the NCRP report wholesale. An epilogue is a short speech at the end of a play. In the case of this drama it’s hard to be brief. I’ll give two snapshots – one is global, the other is a family tragedy. In 1986 the accident at Chernobyl spread fallout round the whole planet and millions of people inhaled and ingested it. Thousands of published reports from Russia, Belarus, the Ukraine, Greece, Germany, Britain, and even as far west as the Californian coast show a wide range of post-accident health effects not predicted by ICRP’s model. In 2007 ICRP adopted new Recommendations in which there is a single reference to one study of Chernobyl. It’s a paper on thyroid cancer. They cite it for the sole purpose of establishing that it’s so hard to be sure what doses the patients had got from the fallout that the accident can tell us nothing useful. ICRP clings so hard to the dogma of dose that they are willing to rob the human race of the chance to learn about the results of the worst ever reactor accident (I wrote this before Fukushima). This is one among millions of similar stories, but enough detailed information has leaked out to let us learn from it. In May 2007 The Guardian (linked here or here) and The Times carried reports of a Cumbrian woman’s shock at finding out what had happened to her father 36 years earlier. Angela Christie’s father, Malcolm Pattinson, died of leukaemia in 1971. He was 36 years old and he worked at Sellafield. Or he had worked there; the Times reported that by the time he died he had been off work for 18 months because his wife feared for his health. As soon as he was dead his employers made frantic efforts to obtain organs and bones from his body. The local coroner, doctors and solicitors were involved but the family was neither consulted nor informed. In 1979, after a long battle during which the employers admitted liability, an out-of-court settlement brought Mr. Pattinson’s widow and daughters compensation payments variously reported as £52000 and £67000. All this happened when Malcolm’s daughter Angela was in her teens. She grew up and went to work at Sellafield like her father. She married and had three children of her own. Then she read in a newspaper that her father had been one of many men in the industry whose organs had been harvested for radiological research. She asked for the legal papers and received several boxes full. They’re quite shocking, which may indicate why Mr Pattinson’s employers were so interested in snatching his body parts. His liver contained 673 times as much Plutonium as the average for a sample of Cumbrians who had not worked in the nuclear industry and his lungs had well over 7000 times as much. His liver had 53 times the amount of Plutonium found in the most contaminated of the nuclear workers in other reports and his lungs had 42 times as much. Mr. Pattinson’s body burden was far greater than any other worker data I have seen. I conclude that he had either been involved in an accident or had been working in an unacceptably dirty environment. Either would be a scandal, but the far wider scandal is that the industry and the government would not see even those monstrous levels as a likely cause of his death. From the data published in the Guardian I calculated the radiation dose Mr. Pattinson received from his body burden of Plutonium. Using the same methods as the ICRP I worked out the annual dose at 26 milliSieverts. That’s about ten times the usual (bogus) yardstick of natural background but it would have been nothing very remarkable in the early 1970s. Even today, when standards are more cautious, employers would still not be breaking the law by exposing a worker to such a dose so long as it wasn’t for more than one year in five. ICRP’s risk estimates would not predict that a 26mSv dose would cause Mr. Pattinson’s leukaemia, in just the same way as they do not predict the cluster of childhood leukaemia at Seascale, next door to Sellafield — the doses are far too low. According to ICRP, if Mr. Pattinson was going to die of any cancer, the chance that it would be caused by the Plutonium in his body was only 1.3 in a 1000. To the person in the street the idea that fatal leukaemia in a young man is 770 times more likely to be caused by bad luck, bad genes, bad diet, smoking, a virus or an act of God than by the acts of an employer who contaminated him heavily with a bone-seeking, alpha-emitting radionuclide may seem insane. It is insane. It is insane in the way Dr. Strangelove was insane; the logic is impeccable but the theoretical premises are wrong. The good news is that growing numbers of scientists are recognising that ICRP is in error. These include Jack Valentin, the man who recently retired as ICRP’s Scientific Secretary. The 2005 Recommendations of the International Commission on Radiological Protection: Draft for Consultation were published in late 2004. The final version has not been published at the date of writing (early November 2006) and ICRP tells us publication has in fact been set back by the IRSN’s report on the European Committee on Radiation Risk (ECRR). The ICRP 2004 draft contains many statements revealing the incomplete state of knowledge of radiation risk. Many of them have been watered down in the 2006 draft or have disappeared altogether. Here we reproduce extracts from the 2004 draft which confirm the validity of our long-standing concerns about heterogeneity of energy distribution. The ICRP’s response to heterogeneity is to employ assumptions. Most are individually questionable and when taken together, as they must be, they are simply not acceptable as a system of radiation protection. The upshot is that “dose” is an effectively meaningless term yet the industry’s regulators have no other terms with which to assess and quantify risks. Reassurances about “trivial doses” are revealed as empty. (37) The relationship between radiation exposures and health effects is complex. The physical processes linking exposure and doses in human tissues involve energy transport at the molecular level. The biological links between this energy deposition and the resulting health effects involve molecular changes in cells. In Publication 60 (ICRP, 1991) , the Commission recognised that the gross (macroscopic) quantities used in radiological protection omitted consideration of the discontinuous nature of the physical and biological processes of ionisation. However, it concluded that their use was justified empirically by the observation that the gross quantities (with adjustments for different types of radiation) correlate reasonably well with the resulting biological effects. It further recognised that more use might eventually be made of other quantities based on the statistical distribution of events in a small volume of material, corresponding to the dimensions of biological entities such as the nucleus of the cell or its DNA. Meanwhile, for practical reasons, the Commission continues to use the macroscopic quantities. (42) […] At the low doses generally of concern in radiological protection, the fluctuation of energy imparted can be substantial between individual cells and within a single hit cell. This is the case particularly for densely ionising radiations such as alpha-particles and charged particles from neutron interactions. (44) Absorbed dose is defined based on the expectation value of the stochastic quantity e, energy imparted, and therefore does not consider the random fluctuation of the interaction events. It is defined at any point in matter and, in principle, is a measurable quantity, i.e. it can be determined experimentally and by computation. The definition of absorbed dose has the scientific rigour required for a fundamental quantity. It takes implicitly account of the radiation field as well as of all of its interactions inside and outside the specified volume. It does not, however, consider the atomic structure of matter and the stochastic nature of the interactions. (46) For densely ionising radiation (charged particles from neutrons and alpha-particles) and low doses of low LET radiation, the frequency of events in most cells is zero, in a few it is one and extremely exceptionally more than one. The value of energy imparted in most individual cells is then zero but in the hit cells it will exceed the mean value by orders of magnitude. These large differences in the energy deposition distribution in microscopic regions for different types (and energies) of radiation have been related to observed differences in biological effectiveness or radiation quality. (47) In the definition of radiological protection quantities no attempts are made to specify these stochastic distributions at a microscopic level. Even the quality factor used in the definition of operational quantities is dependent on LET only which also is a non stochastic quantity. Instead a pragmatic and empirical approach has been adopted to take account of radiation quality differences – and therefore implicitly also of the differences in distributions of energy imparted in microscopic regions – by defining radiation weighting factors. The selection of these factors is mainly a judgement based on the results of radiobiological experiments. (48) While absorbed dose is defined to give a specific value (averaged in time) at any point in matter, averaging of doses over larger tissue volumes is often performed when using the quantity absorbed dose in practical applications, as in radiological protection. It is especially assumed for stochastic effects at low doses that such a mean value can be correlated with the risk of a detriment to this tissue with sufficient accuracy. The averaging of absorbed dose and the summing of mean doses in different organs and tissues of the human body, as given in the definition of all the protection quantities, is only possible under the assumption of a linear dose-response relationship with no threshold (LNT). All protection quantities rely on these hypotheses. (49) Protection quantities are based on the averaging of absorbed dose over the volume of a specified organ or tissue. The extent to which the average absorbed dose in an organ is representative of the absorbed dose in all regions of the organ depends on a number of factors. For external radiation exposure, this depends on the degree of penetration of the radiation incident on the body. For penetrating radiation (photons, neutrons) , the absorbed dose distribution within a specified organ may be sufficiently homogeneous and thus the average absorbed dose is a meaningful measure of the absorbed dose throughout the organ or tissue. For radiation with low penetration or limited range (low-energy photons, charged particles) as well as for widely distributed organs (e.g. bone marrow) exposed to non-uniform radiation flux, the absorbed dose distribution within the specified organ may be very heterogeneous. (50) For radiations emitted by radionuclides residing within the organ or tissue, so-called internal emitters, the absorbed dose distribution in the organ depends on the penetration and range of the radiations and the homogeneity of the activity distribution within the organs or tissues. The absorbed dose distribution for radionuclides emitting alpha particles, soft beta particles, low-energy photons, and Auger electrons may be highly heterogeneous. This heterogeneity is especially significant if radionuclides emitting low-range radiation are deposited in particular parts of organs or tissues, e.g. plutonium on bone surface or radon daughters in bronchial mucosa and epithelia. In such situations the organ-averaged absorbed dose may not be a good dose quantity for estimating the stochastic damage. The applicability of the concept of average organ dose and effective dose may, therefore, need to be examined critically in such cases and sometimes empirical and pragmatic procedures must be applied. ICRP has developed dosimetric models for the lungs, the gastrointestinal tract and the skeleton that take account of the distribution of radionuclides and the location of sensitive cells in the calculation of average absorbed dose to these tissues. It seems perverse that having admitted so many flaws in the concept of absorbed dose ICRP simply continues to use it. “Various questions raised by the ECRR are quite pertinent and led IRSN to analyze this document with a pluralistic approach. a. Besides natural and medical exposures, populations are basically undergoing low dose and low dose rate prolonged internal exposures. But the possible health consequences under such exposure conditions are ill-known. Failing statistically significant observations, the health consequences of low dose exposures are extrapolated from data concerning exposures that involve higher dose rates and doses. Also, few epidemiologic data could be analyzed for assessing inner exposure effects. The risks were thus assessed from health consequences observed after external exposure, considering that effects were identical, whether the exposure source is located outside or inside the human body. However, the intensity, or even the type of effects might be different. b. The pertinence of dosimetric values used for quantifying doses may be questioned. Indeed, the factors applied for risk management values are basically relying on the results from the Hiroshima and Nagasaki survivors’ monitoring. It is thus not ensured that the numerical values of these factors translate the actual risk, regardless of exposure conditions, and especially after low dose internal exposure. “The phenomena concerning internal contamination by radionuclides are complex because they involve numerous physico-chemical, biochemical and physiological mechanisms, still ill-known and thus difficult to model. Due to this complexity, the behaviour of radionuclides in the organism is often ill described and it is difficult to accurately define a relationship between the dose delivered by radionuclides and the observed consequences on health. This led the radioprotection specialists to mostly use the dose/risk relationships derived from the study of the Hiroshima/Nagasaki survivors, exposed in conditions very different from those met in the cases of internal contaminations. This fact raises numerous questions, which should be considered with caution because a wide part of the public exposure in some areas of the world is due to chronic internal contaminations and very few data concern these situations. IRSN’s statements are a bizarre double standard; they have agreed with ECRR’s criticisms of the ICRP system, which on that basis can itself be described as “not meet[ing] the criteria of a strict and consistent scientific approach” (as IRSN demands of ECRR). IRSN’s subsequent call for more research may be only what is expected of scientists, but such research would take years. Policy makers and stakeholders engaged in decommissioning have to make decisions now. … There are important concerns with respect to the heterogeneity of dose delivery within tissues and cells from short-range charged particle emissions, the extent to which current models adequately represent such interactions with biological targets, and the specification of target cells at risk. Indeed, the actual concepts of absorbed dose become questionable, and sometimes meaningless, when considering interactions at the cellular and molecular levels. from CERRIE (Government’s Committee Examining Radiation Risks of Internal Emitters) Majority Report Chapter 2 Risks from Internal Emitters Part 2 paragraph 11. See http://www.cerrie.org for full report. The next day, Deputy Director of Strålsäkerhetsmyndigheten, Carl-Magnus Larsson also said the ICRP model could not be used to predict the health consequences of accidents. He added that for elements like Strontium and Uranium which bind to DNA national authorities would have the responsibility to assess the risks. Another SRM member said that the Secondary Photoelectron Effect was well recognised, also that in 1977 the ICRP had considered a weighting factor ”n” for elements which bind to DNA but had not implemented it. 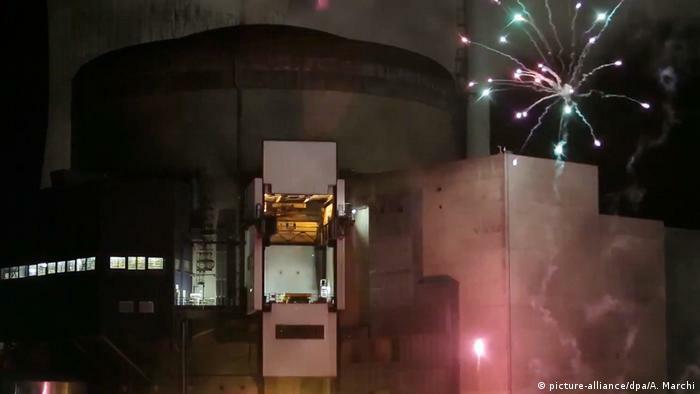 The Greenpeace supporters then filmed themselves while setting off fireworks at the plant to protest France’s heavy dependence on nuclear energy. Greenpeace spokesman Yannick Rousselet said the activists had managed to get within 100 meters (109 yards) of open pools of nuclear waste. The group said it staged the divisive stunt in order to highlight to highlight the facility’s vulnerability to attacks in addition to calls for better protection against nuclear waste. France’s state-owned energy giant EDF, which operates the Cattenom nuclear power station, said that the Greenpeace effort had failed to flag any shortcomings in safety issues, stressing that the environmental activists had been detained eight minutes after entering the site, ensuring the security of the power station as well as their own. Olivier Lamarre, deputy head of EDF’s French nuclear division, said that the Greenpeace activists were cooperative and did not resist arrest. In a tweet, EDF also highlighted that the activists had failed to reach Cattenom’s so-called “nuclear zone,” located behind a third barrier. Greenpeace had published a report ahead of the stunt saying the spent-fuel pools of EDF’s nuclear reactors were highly vulnerable as their confinement walls were not designed with malicious attacks in mind. EDF, however, denied that there were any such risks, stressing that the pools with nuclear waste had been designed to withstand earthquakes and flooding as well as terror attacks. The arrests and potential legal consequences after the security breach at Cattenom did not deter Greenpeace from staging a similar publicity stunt just weeks later: police arrested 22 activists on November 28 after entering the Cruas-Meysse nuclear plant in France’s southeastern Ardeche region, which is also operated by EDF. Greenpeace said that the activists were once again trying to point out a lack of safety precautions around spent nuclear fuel pools. France is one of the world’s most nuclear-dependent country, with 58 reactors providing 75 percent of the country’s electricity. The country hosts a total of 63 spent-fuel pools. Environmentalists have long questioned the safety of France’s vast nuclear network, but around a third of all reactors in the country are set to be closed by 2025 under current government plans. Public support of nuclear power has fallen in line with other European countries the nuclear disaster at Japan’s Fukushima plant in 2011. …..For the UK to fulfill international standards on nuclear safeguards and non-proliferation once it leaves the EU, the existing legislative framework must be amended, with a new regime set out in new secondary legislation, it says. In the absence of amending frameworks and work to implement new safeguards measures, the UK would be without an effective nuclear safeguards regime, it adds. “This scenario is the relevant counter-factual for policy appraisal given the decision to leave Euratom has already been taken and domestic safeguards appraised here are not dependent on the future relationship with the EU. However, we have also included a counter-factual of ’current Euratom regime’ to compare impacts relative to the current regime under Euratom. The UK’s withdrawal from Euratom has already been triggered so this is only included as baseline for consistency with other EU exit related measures where legislation may be dependent on the negotiated outcomes on future relationship with the EU,” it says. Two core options have been considered. The first is to adopt domestic standards of nuclear safeguards of broad equivalence to those adopted by Euratom, which BEIS says would ensure that sites to which safeguards apply remain subject to detailed oversight and that the UK continues to maintain the highest standards of nuclear safeguards. On the second option, which fulfils nuclear safeguards standards, without replicating Euratom’s standards, BEIS says that all civil nuclear facilities to which safeguards apply would remain subject to a robust safeguards regime. “This option would however entail a reduction in the frequency and intensity of inspection at UK nuclear facilities, while still maintaining compatibility with IAEA [International Atomic Energy Agency] standards,” it says. David Wagstaff, deputy director of the Euratom exit at BEIS, told a conference last month that the “parliamentary balance” on the Bill’s passage through Parliament is “quite a delicate one at the moment”. If all goes to plan, however, the Bill will receive Royal Assent early this year, he added. The ONR and BEIS are working “hand-in-hand” and this project is “going at pace”, with recruitment and IT procurement in process…..
Not since the Cuban Missile Crisis in 1962 has the United States threatened a nuclear attack against a nuclear-armed country as flatly as Donald Trump is doing now, says Daniel Ellsberg, the man who orchestrated the release of the the Pentagon Papers in 1971. This prognostication from the long-time peace activist and long-ago military analyst comes a few minutes into a wide-ranging conversation about The Post, a film about the Pentagon Papers and The Doomsday Machine, his most recent book, about America’s nuclear arsenal. “We may very well be in the first … two-sided nuclear war any day: Tomorrow, or next week,” Mr. Ellsberg tells The Globe and Mail over the phone from his Berkeley, Calif., home. While the particularly bellicose temperaments of Mr. Trump and North Korean dictator Kim Jong-un are popularly blamed for this bleak state of affairs, Mr. Ellsberg sees a historic context for them. The policies of Mr. Trump and Mr. Kim may be mad, but they are no more so than NATO’s approach to the Cold War – which would have seen nuclear attacks on the Soviet Union and China rather than let Europe fall to the communist hordes – or Fidel Castro’s approach during the Cuban Missile Crisis, when he told his Soviet patrons a pre-emptive attack on the United States would be a good idea. It’s the coincidence of timing that makes The Doomsday Machine so prescient: As Mr. Ellsberg reveals in the book, the Pentagon Papers on the Vietnam War were not the only documents he copied and secreted out of the U.S. Department of Defense. He also took a massive cache of information related to the U.S. nuclear program but opted not to leak it immediately so as not to distract from the Vietnam revelations. Mr. Ellsberg gave the nuclear documents to his brother, Harry, who hid them in an upstate New York garbage dump, whence they were washed away by a tropical storm. Only decades later – following a trial, years of anti-nuclear activism and a memoir about the Pentagon Papers – did Mr. Ellsberg return to the project that would become The Doomsday Machine. As chance would have it, The Post, too, lands at a time when its decades-old story about a newspaper battling a press-hating White House to publish leaked inside information is as relevant as ever. He particularly fears that the Trump administration will start indicting reporters. Mr. Ellsberg also sees an ever-relevant theme in Katharine Graham, The Washington Post’s then-publisher, battling sexism as she stares down the Nixon administration. As its Dr. Strangelove-inspired title suggests, The Doomsday Machine‘s premise is that the United States’ nuclear arsenal is so extensive and so quickly launchable that using much of it would guarantee the end of life on Earth. Even a “limited” nuclear confrontation with North Korea would still leave millions dead within days, a level of carnage without precedent. More alarming still, Mr. Ellsberg discovered while a Pentagon contractor in the 1960s that the ability to order a nuclear strike was delegated to a surprisingly large number of military personnel – on the theory that someone would have to be able to retaliate in the event Washington was obliterated by America’s enemies. The Soviets had a similar system, known as “the Dead Hand.” Ellsberg contends this state of affairs hasn’t changed, and must be the same in Pyongyang. The way out of the impasse, he contends, is what it has always been: Negotiations with Pyongyang that would offer trade and normalized relations for a freeze on the development of intercontinental ballistic missiles and hydrogen bombs. If that doesn’t work, the United States would have to live with Mr. Kim as it lived with previous nuclear-armed dictators. “To think that Kim Jong-un is crazier or more ruthless than Stalin or Mao, there’s no basis for that. … There’s no indication he can’t be deterred from using [the bomb] unless he’s about to be attacked,” he says. In his book, Mr. Ellsberg documents how – from Robert McNamara, the defense secretary under whom Mr. Ellsberg worked, to Mr. Obama – generations of politicians have tried and largely failed to decrease the risk posed by the country’s nuclear arsenal. Among the problems, he argues, is that the military is so tightly enmeshed with the economy that any attempt to dial it back faces resistance from Congress. While the topicality of book and film make Mr. Ellsberg, at 86, as relevant a figure as ever, surely it must be aggravating that the battles he fought more than 40 years ago remain unresolved. The head of the Ecolo-Groen faction in the House of Representatives of the Belgian Parliament, Jean-Marc Nollé, claims that Belgium holds the world record for the time of inactivity of nuclear reactors at its nuclear power plants, newspaper Le Soir reports. The parliamentarian reacted very emotionally to the halt during the whole winter of one of the reactors of the Dul nuclear power plant. According to him, Belgium has a sad world record for unscheduled stops of nuclear power plants – 25%. According to Nolle, Belgium is ahead of this indicator by Iran and the Czech Republic, where the figures are respectively 13.5% and 8.8%. He accused the operator of Belgian nuclear power plants, Electrabel company in disregard for the security of citizens and adherence to outdated and dangerous technologies. He got rid of him and local politicians who shy away from answering these questions. The leader of the Greens urged to quickly get rid of Belgium from nuclear power plants, noting that the problem with the Dul nuclear power plant could drag on for a long time. The third reactor of the Belgian nuclear power plant “Dul” was stopped from September 2017 – first for preventive works. Then it turned out that the concrete of the bunker located in the non-nuclear zone of the nuclear power plant is crumbling, where emergency pumps and diesel generators are located. After the nuclear accident in 2011, Daisuke Shimizu began documenting scenes in Fukushima Prefecture, the place where he was born, using time-lapse photography. Shimizu visits locations on the coast, including communities to which evacuated residents have recently been given permission to return and rebuild their lives. In short videos that combine many photographs, Shimizu documents change in a unique way. What glimmers of hope does he reveal in the poignant beauty of the Fukushima landscape? ……Edward White in Taipei January 2, 2018 6 Taiwan is forging ahead with an ambitious plan to revamp its electricity mix despite fears about energy security, as pressure builds on the government to tackle worsening air pollution. The government has faced growing calls to tackle the toxic smog that blights many parts of Taiwan — thousands took to the streets last month to protest against coal-fired power. The government aims to lift renewables’ share of Taiwan’s power mix from 6 per cent to 20 per cent over the next seven years via construction of offshore wind farms and solar installations, and to reduce carbon emissions to 20 per cent of 2005 levels by 2030….. The Japanese government is poised to guarantee the full amount of loans that three megabanks will extend for a nuclear plant construction project in Britain by Hitachi Ltd., sources familiar with the project said. A group of banks, including the three megabanks and the government-affiliated Japan Bank for International Cooperation (JBIC), will extend approximately 1.5 trillion yen in loans to Hitachi’s atomic power station project. Of the amount, the government will fully guarantee loans to be extended by the megabanks, while the governmental Development Bank of Japan (DBJ) will support the project by making capital investments. Chubu Electric Power Co. and other utilities are also considering investing in the project. The state will thus join hands with the private sector in extending all-out support for the project to export a nuclear plant worth some 3 trillion yen. However, concerns have been raised that if the project were to run into the red, taxpayers could be forced to shoulder the burden. The project to be covered with loans and investments is an atomic power station that a Hitachi subsidiary in Britain is aiming to build in Anglesey, Britain. The firm hopes to start operations at the plant in the mid-2020s. Hitachi Ltd. is poised to make a final decision on whether to invest in the project by the end of fiscal 2019. However, Hitachi is consulting with the Japanese and British governments and financial institutions over loans, their guarantees and investment on the grounds that the electronics giant alone cannot take risks. Japanese financial institutions and the governmental Nippon Export and Investment Insurance (NEXI) offered in December last year to extend financial assistance for the project. According to the sources, Hitachi estimates the total cost of the project at about 3 trillion yen. Hitachi aims to obtain about 1.5 trillion yen in loans to cover half of the amount while raising another 1.5 trillion yen through investments. Each of the three megabanks — the Bank of Tokyo-Mitsubishi UFJ, Ltd., Sumitomo Mitsui Banking Corp. and Mizuho Bank, Ltd. — intend to extend loans of more than 100 billion yen, totaling some 500 billion yen. NEXI will guarantee the loans. Hitachi intends to obtain the reminder of the loans from the JBIC and commercial financial institutions in Britain. The DBJ has notified Hitachi of its intention to make capital investments in the atomic power station project, while Chubu Electric Power and Japan Atomic Power Co. are also considering investing in the venture. Hitachi has also asked other utilities including Tokyo Electric Power Co. and trading houses to invest in the project in a bid to disperse risks involving the project. The British government, which is speeding up the construction of nuclear plants, also intends to invest in the project, and Japanese and British Cabinet ministers in charge of energy policy exchanged a memorandum on cooperation in December last year. The profitability of nuclear plant construction has been worsening all over the world due to an increase in the costs of ensuring safety since the outbreak of the Fukushima nuclear crisis in March 2011, contributing to the financial crisis of Toshiba Corp., another electronics giant. Nevertheless, the government intends to extend all-out support for the project. “It’s essential to win a contract on the British project in order to maintain Japan’s nuclear technology,” said a high-ranking official of the Economy, Trade and Industry. While a nuclear detonation is unlikely, it would have devastating results and there would be limited time to take critical protection steps. Despite the fear surrounding such an event, planning and preparation can lessen deaths and illness. For instance, most people don’t realize that sheltering in place for at least 24 hours is crucial to saving lives and reducing exposure to radiation. While federal, state, and local agencies will lead the immediate response efforts, public health will play a key role in responding. Join us for this session of Grand Rounds to learn what public health programs have done on a federal, state, and local level to prepare for a nuclear detonation. Learn how planning and preparation efforts for a nuclear detonation are similar and different from other emergency response planning efforts. Non-CDC staff must have prior security clearance. US citizens must submit a request to the Grand Rounds Team. A US state-issued photo ID (e.g., driver’s license, US passport) is required. Non-US citizens must submit their requests 20 days prior to the session to the Grand Rounds Team, and additional information will be required. It is the policy of CDC to provide reasonable accommodations (RA) for qualified individuals with disabilities to ensure their full inclusion in CDC-sponsored events. Employees are asked to submit RA requests at least 5 business days prior to the event. Please e-mail the request to grandrounds@cdc.gov. Feel free to e-mail your questions before or during the session. Grand Rounds is available for continuing education. All continuing education credit for Public Health Grand Rounds (PHGR) is issued online through the CDC/ATSDR Training and Continuing Education Online system. If you have questions, you can email Learner Support or call them at 1-800-41-TRAIN (1-800-418-7246). Those who view PHGR and wish to receive continuing education must complete the online seminar evaluation. Continuing education will be available for up to 2 years and 1 month after the initial offering. The course code for all PHGR sessions is PHGR10. PLYMOUTH — Operators manually shut down Pilgrim Nuclear Power Station shortly at 2 p.m. after one of the two main 345-volt lines that provide off site power to the plant “became unavailable,” according to Nuclear Regulatory Commission spokesman Neil Sheehan. “There have been no complications with the shutdown thus far,” Sheehan wrote in an email to the Times. The emergency generators were fired up to power cooling and other emergency systems functioning, even though the second 345-volt line, along with a smaller line, from offsite have remained in service. Patrick O’Brien, a spokesman for Entergy Corp., Pilgrim’s owner and operator, said plant managers decided to use the diesel generators for safety systems because of their reliability. Plant watchdogs had been calling on federal regulators to order Pilgrim’s reactor shut down since yesterday, when strong winds and flooding were forecast. The NRC left it to Pilgrim’s management, along with three federal inspectors onsite at the plant, to make the call. O’Brien had said late yesterday there were no plans to power down the reactor in anticipation of storm-related problems. Mary Lampert, president of Pilgrim Watch, said her group had asked federal regulators to order the reactor shut down as a pre-emptive measure. “My concern was flooding, the high winds, the water, everything,” Lampert said shortly after the reactor was manually powered down. A January blizzard in 2015 resulted in an emergency shutdown that was accompanied by a number of system problems. Those storm-related difficulties pushed Pilgrim into Column 4, as one of the country’s worst performing reactors. CRANBERRY TOWNSHIP, Pa.–Westinghouse Electric, the U.S. nuclear unit of embattled Japanese electronics giant Toshiba, has been acquired in a deal valued at about out $4.6 billion. Westinghouse Electric Co. declared bankruptcy protection early last year, leaving a number of nuclear projects in limbo. The acquisition by Brookfield Business Partners LP on Thursday comes one day after an agreement tying up loose ends from two failed nuclear reactors in South Carolina. South Carolina Electric & Gas Co. abandoned construction reactors at the V.C. Summer Nuclear Station. Thousands were left jobless in the wake of the $9 billion failure, which was blamed by owners on the plight of Westinghouse, the lead contractor. A deal proposed Wednesday could mean $1.3 billion in refunds for utility customers affected by the failed project. The nuclear industry has struggled both because of the tremendous cost of building massive reactors and the accelerating shift to other forms of energy like natural gas and alternative energy, like solar. The industry, and Toshiba in particular, has been subjected tighter regulatory control following the 2011 Fukushima nuclear disaster in northeastern Japan. Toshiba has been dumping assets to cover for its disastrous immersion into nuclear power, a play it saw once as a safe infrastructure investment, free of the seasonal fluctuations of the power generation industry. Technology in both fracking, a form of drilling, and alternative energy, has upended the power sector. Westinghouse said Thursday that the deal with Brookfield doesn’t involve cash, but includes the assumption of a number of pension, environmental and operating obligations. The agreement, pending the approval of bankruptcy court, is expected to close in the third quarter. Former IOP Executive Director Steve Edwards will moderateThe threat of nuclear war is once again in the news. Fears about the potential use of nuclear weapons have reanimated public debate in ways not seen since the Cold War. To further understand how decisions about nuclear weapons are made by world leaders and institutions, the Division of the Social Sciences, the Chicago Project on Security and Threats (CPOST), and the Institute of Politics (IOP) are cosponsoring a January 29 panel titled “A Safer or a More Dangerous World? Nuclear Weapons in Today’s Global Community.” The event, to be held in Regenstein Library Room 122 from 5:30-7:00 PM, is an extension of the University-wide Nuclear Reactions series commemorating the 75th anniversary of the first controlled atomic chain reaction. the event joins UChicago international relations scholars to offer different viewpoints on military decisions, the role of nuclear arms in the formation of alliances, and aids and obstacles to non-proliferation efforts. “It’s important to think systematically about the international system, about how countries interact with each other, and what would lead them to think that nuclear weapons are a useful thing to have,” Poast says. In addition to Poast, panelists will include Austin Carson, Assistant Professor of Political Science; Paige P. Cone, CPOST’s Nuclear Proliferation Fellow; Robert Pape, Professor of Political Science and Director of CPOST; and Paul Staniland, Associate Professor of Political Science and Chair of the Committee on International Relations (CIR). Steve Edwards, Chief Content Officer of WBEZ and former executive director of the Institute of Politics (IOP), will moderate. Poast stresses that despite the daunting scale of the nuclear weapons threat and the global problems it presents, the work of researchers like those on the panel can help people better understand the implications for society today and in the future. “The goal is to give people a new way to think about things,” he says. In a paper published early in his career, Robert Pape challenged the conventional wisdom that dropping the atomic bombs on Hiroshima and Nagasaki was the key to the Japanese surrender that ended World War II. He suggested instead that Japan’s ability to continue fighting was most threatened by the Soviet Union’s declaration of war (on August 9, the same day as the bombing of Nagasaki), and by the United States’ sea blockade and capture of Okinawa. Pape argued further that while the nuclear bombs’ devastation was massive, the Japanese had already suffered intense conventional bombing and had not surrendered. Cone’s research extends beyond sanctions to include other forms of economic or military coercion as well. A recent item she published in the Bulletin of the Atomic Scientists explained her finding that previous uses of so-called “negative inducements” have not produced good results. “If the definition of insanity is doing the same thing over and over while expecting different results, insanity is an apt description of US sanctions policy against North Korea,” Cone wrote. According to Cone, 39 states have pursued nuclear weapons. Of those, Cone determined that offering positive inducements was a more reliable method of intervening to prevent a country from becoming a nuclear power, and was successful in reversing at least 11 countries’ nuclear ambitions. Today, nine countries are considered nuclear states, including North Korea. Part of Poast’s research centers around one of those inducements — membership in international security alliances like the North Atlantic Treaty Organization (NATO). Although a key function of NATO was to limit the Soviet Union’s influence in Europe during the Cold War, Poast’s research suggests that the alliance also thrived as a way for the United States to enforce nuclear non-proliferation. “You can’t avoid the fact that nuclear politics provide the rationale for NATO,” Poast says. “Once you view NATO’s role in the context of nuclear weapons, you realize that the end of the Cold War did not in any way make NATO obsolete.” In fact, Poast believes NATO became even more important as a tool of non-proliferation in the 1990s, when the Iron Curtain fell and Eastern European states might have pursued nuclear weapons. Austin Carson also examines the influence of international organizations in nuclear politics. The 1968 Nuclear Nonproliferation Treaty and its enforcement arm, the International Atomic Energy Agency (IAEA), have played an increasingly important role in combatting nuclear programs, particularly since the first Gulf war in Iraq. Carson’s work looks at secrecy and transparency between states and international organizations. He has previously studied covert military and intelligence operations as a kind of face-saving communication among states. His current project examines why decisions are made not to communicate secret information, particularly when countries have intelligence that could cause an acceleration of nuclear programs. “We’ve known that…if you tell everyone about [a state’s attempts to develop nuclear weapons], you marshal international pressure that’s going to make that proliferating country or that violator more likely to come come back from the brink and reverse what they’re doing,” Carson says. But examining newly declassified documents from US intelligence archives, he found that there are often situations in which government and military officials did not think publicity would produce a positive outcome. Poast says Paul Staniland’s perspective will help the panel address the regional impacts of nuclear weapons programs. Staniland, whose work has been on insurgencies and violence in South and Southeast Asia, has recently shed light on broader South Asian foreign policy questions, including the way nuclear weapons factor into smaller-scale conflicts between Pakistan and India like the resurgent violence in Kashmir last year. Staniland recently coauthored a paper that considers the domestic political implications of India’s nuclear policy and the role played by other regional nuclear powers like Pakistan and China.